Hillary Clinton “not even sure” Bernie Sanders is a Democrat. 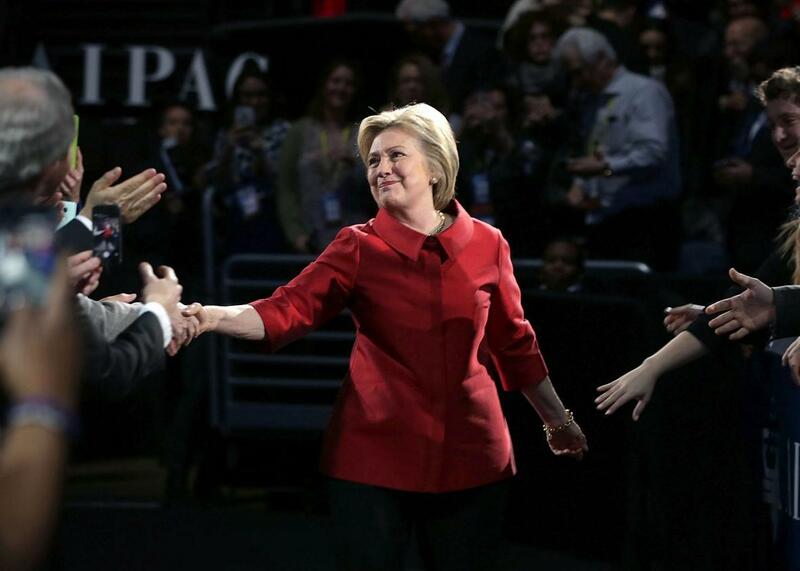 Hillary Clinton greets attendees prior to her address to the annual policy conference of the American Israel Public Affairs Committee on March 21 in Washington, D.C.
Well, I can’t answer that, Glenn, because he’s a relatively new Democrat, and, in fact, I’m not even sure he is one. He’s running as one. So I don’t know quite how to characterize him. I’ll leave that to him. But I know there’s a big difference between Democrats and Republicans, and I know that Senator Sanders spends a lot of time attacking my husband, attacking President Obama, you know, calling President Obama weak and disappointing, and actually making a move in 2012 to recruit somebody to run a primary against him. I rarely hear him say anything negative about George W. Bush, who I think wrecked our economy, just not to put too fine a point on it. … So I don’t know where he is on the spectrum, but I can tell you where I am. Sanders, who has clearly embraced the outsider label, isn’t likely to take as big of an issue with Clinton’s you’re-not-a-Democrat charge as she did with his you’re-not-a-progressive one. (In many ways, it plays directly into his current contested convention-themed strategy.) But the fact that Clinton is making it so forcefully now suggests that she thinks that Democratic voters are as eager to get to the general election as she is.